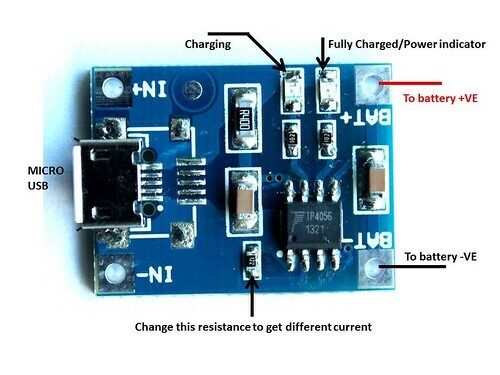 Here is a simple and a low cost Lithium Battery charging breakout board. This article is about the charger breakout board based on TP4056. 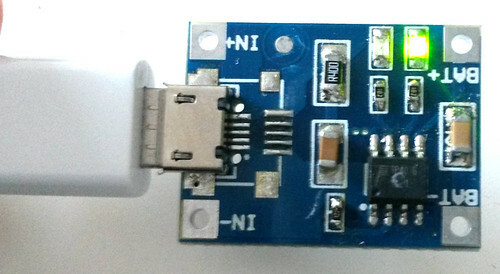 It uses a Micro USB for connecting the breakout board to any computer or ‘USB wall adapter’. It works with linear charging method. It offers 1000mA charge current by default but it is adjustable from 50mA to 1000mA by soldering a resistor. The default resistor soldered in on the board is 1.2K Ohm. A resistance and current table has been shown below on this page. On the following video, you can see the two modes of the charger: first, when there is no battery connected and the other, when the battery is connected. You can purchase this module at buildcircuit.net. The online store is operated by BuildCircuit team.